We’ve talked a lot about the advent of the Renter Nation at CWS for a number of years. When the housing bubble was in full force we used to say that people were renters but they didn’t know it because they had no equity in their homes due to the very aggressive financing that was available at the time. We were also pretty sure that there would be a day of reckoning as loans were originated on a huge scale to individuals with very little margin of safety if their income were interrupted and/or home values declined. Sure enough the house of cards collapsed and the housing market went down in flames. 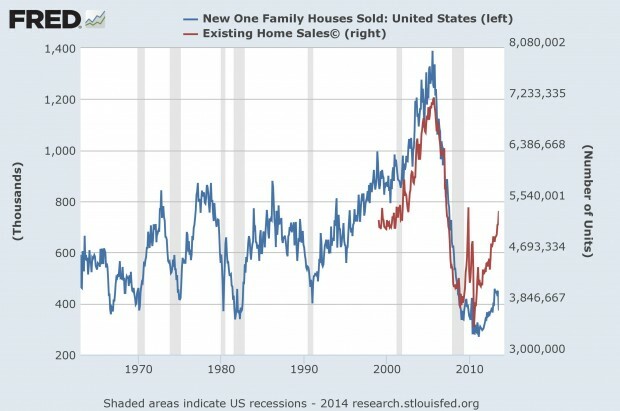 The following graph shows new single-family sales going back to 1959 and existing home sales (resales) going back to 1999. 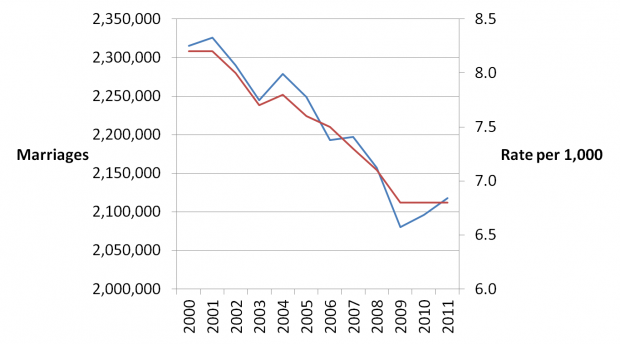 We can see how frothy the housing market became for both new homes and resales from 2003-7. 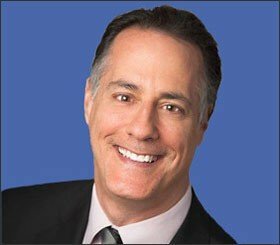 New home sales subsequently collapsed and remain at depressed levels as the mortgage market remains tight, the price of many resale homes are low enough to discourage the building of new ones, the soft labor market, and consumer psychology. 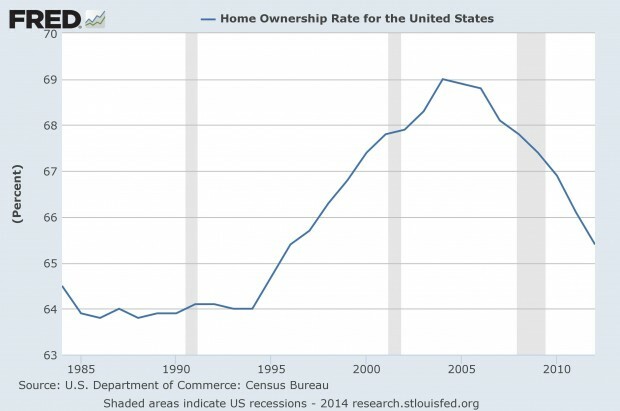 This has lead to a dramatic reduction in the homeownership rate, although one could argue that it has only gotten back to more historical levels and should never have gotten as high as it did. 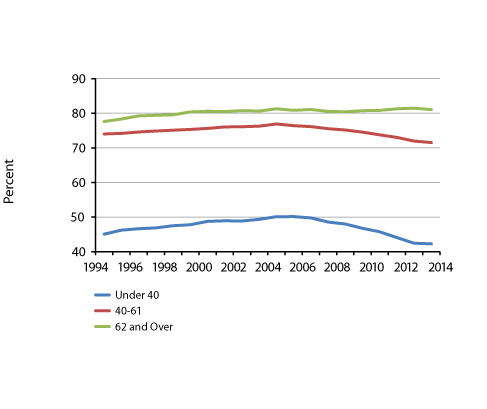 The principal reason homeownership has dropped is due to young people losing their homes and/or not buying homes like they did as the following graph shows from a Federal Reserve Bank of St. Louis report on housing and young families’ balance sheets. 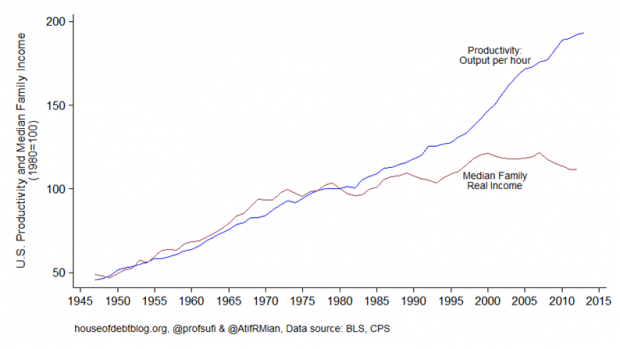 The following charts help show how this trend has been evolving over a long period of time. 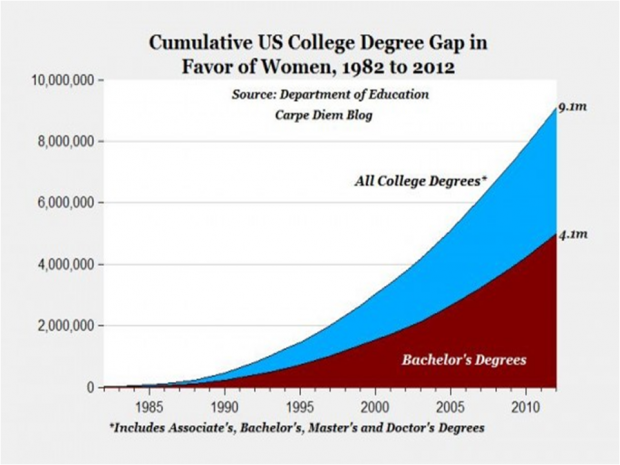 One fascinating trend that has been developing for awhile is the degree gap between females and males. 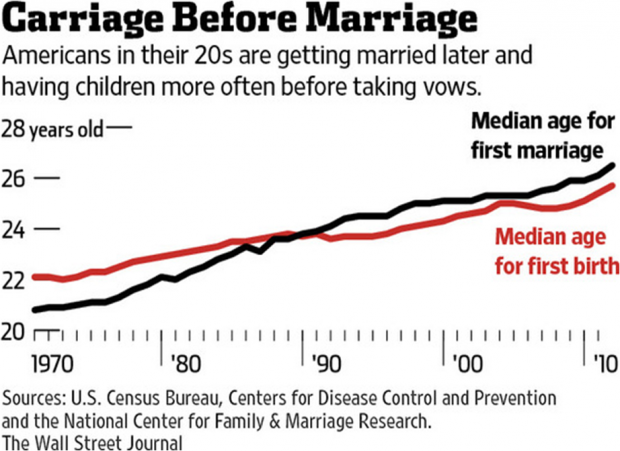 There are many more female college graduates than males and some speculate that this will continue to lead to less marriages in the future or more delays as women may be less inclined to marry men without college degrees if they have them. If this letter from a Princeton mom is any indication then this could be a powerful trend. I believe that Zell is right that the apartment industry has a very bright future beyond demographics which I’ll touch on shortly. Before doing so, I thought I would share a couple of graphs that depict how amazingly strong the rental market has been since 2007 or so. The first chart shows the amount of rental income flowing to individuals. 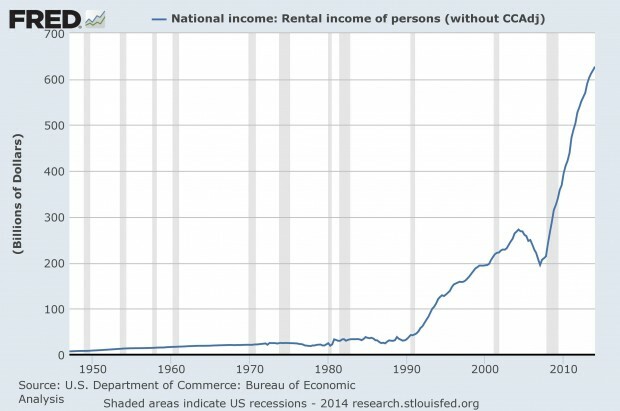 It’s clear that the amount of rental income has exploded since 2007. Clearly it’s been good to be a landlord. 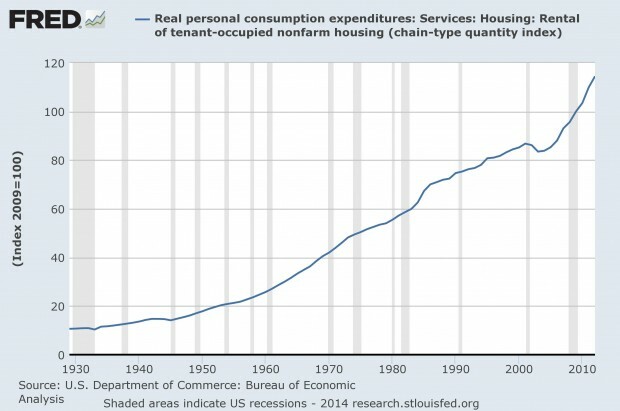 The second graph shows an index of inflation-adjusted expenditures for rental housing over a long period of time. It’s clear that it shows a consistent uptrend, but this is not surprising because the United States population has grown steadily for a long time so the demand for it should be increasing. 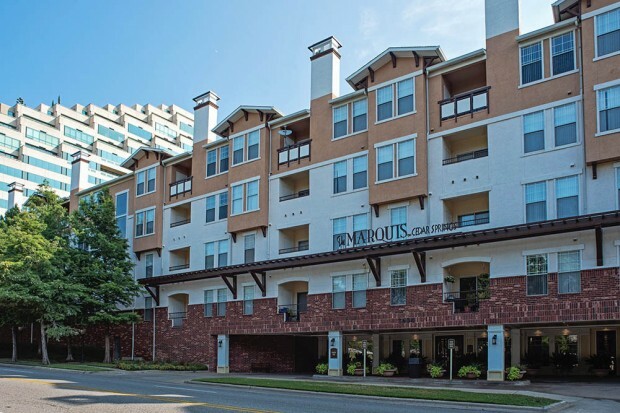 Nevertheless, from an investment standpoint, apartments and rental housing have generally been a good investment in terms of providing some inflation protection with growth over a long period of time. Beyond delayed marriages, the rental market should be supported by the large amount of student loans that individuals have taken out, particularly those in their prime renting years, 18 to 29. Approximately 40% of student loans are to people younger than 30. In addition, many older people have taken out loans as well as they have gone back to school during the recession. 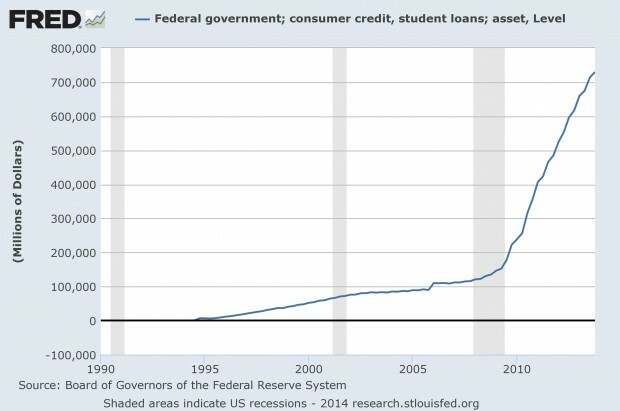 Most of these loans are now backed by the federal government as the following chart shows. The performance of these loans is deteriorating as well, which doesn’t bode well for future credit ratings for many of these delinquent borrowers. 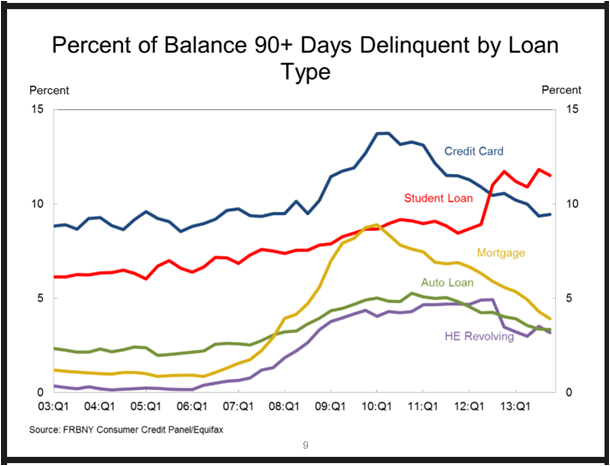 In addition, the delinquency is probably closer to double the reported rate since about half of the loans are in the deferment phase in which interest payments can be paid down the road, presumably when there is more earning power. As evidence of this, according to the Federal Reserve Bank of New York, the delinquency rate for those under 30 was 8.9% as of the end of 2012 (the latest data) but 16.1% for those between 40 and 49, presumably with very little deferral of payments allowed in this age cohort. Repayment risk is now going to increase as it was just announced on May 7 that interest rates are set to increase for federal student loans. “Interest rates on federal Stafford student loans will rise to 4.66% for undergraduate students next year from 3.86% in the prior year…The interest rate for graduate students will rise to 6.21% next year from 5.41% in the current year. Jeffrey Gundlach, now one of the world’s best bond investors, also studies other asset classes very carefully and is not afraid to communicate his opinion when he is strongly convicted. He came out with a bearish call on the home builders. Gundlach says to short them for many of the reasons cited in this post. In addition, he believes that many young people want to congregate in more exciting and energetic urban areas and would prefer the flexibility of renting so they can stay flexible and mobile and focus on building their careers.